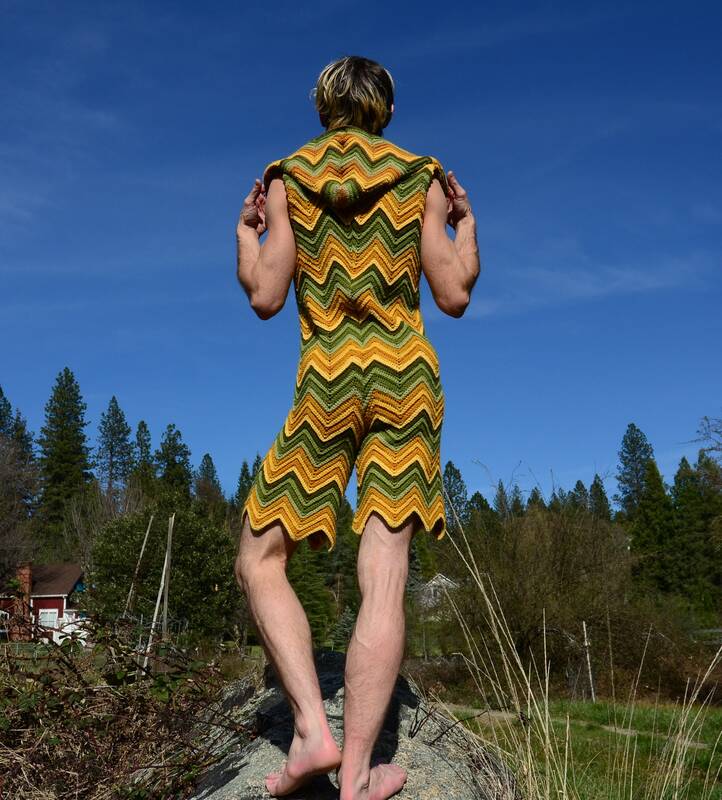 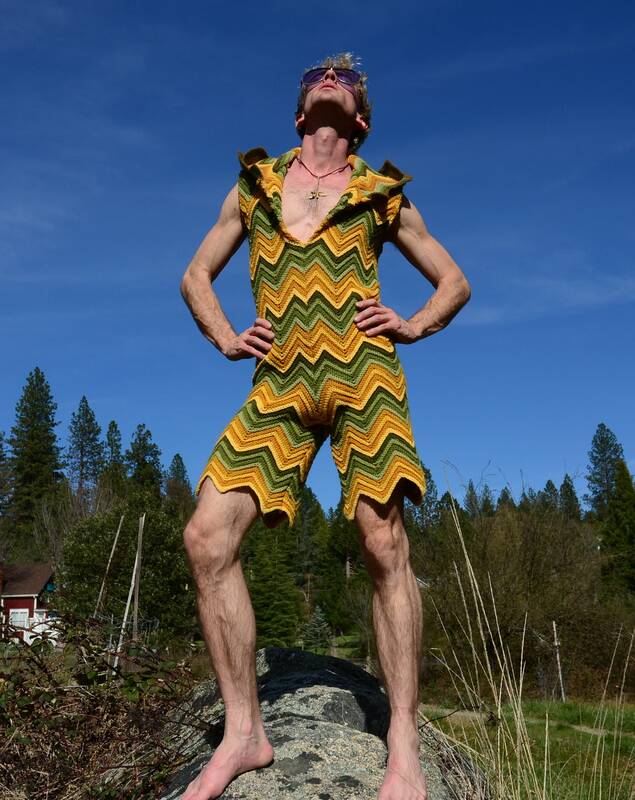 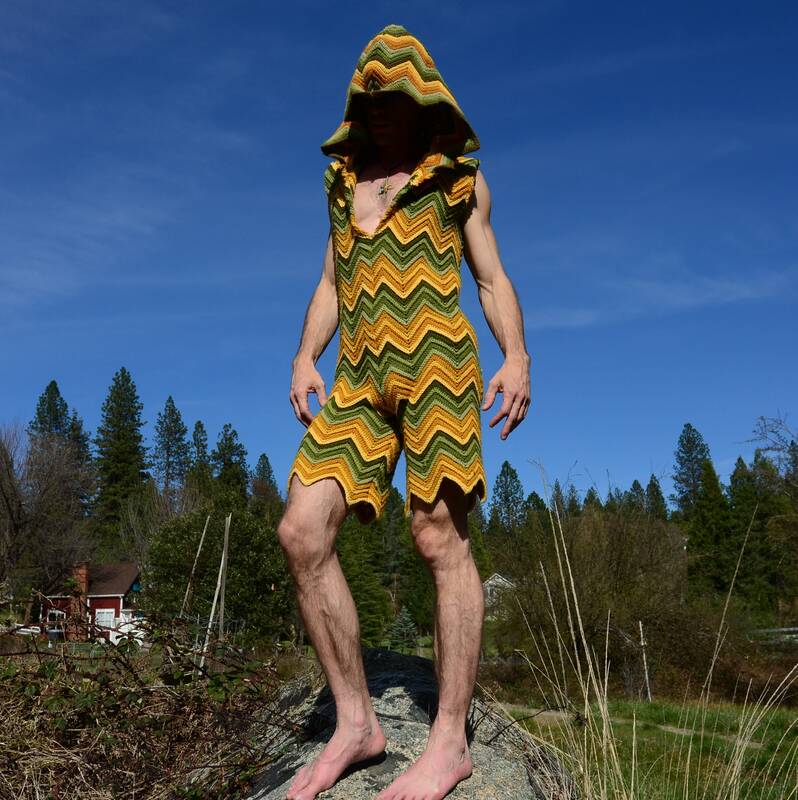 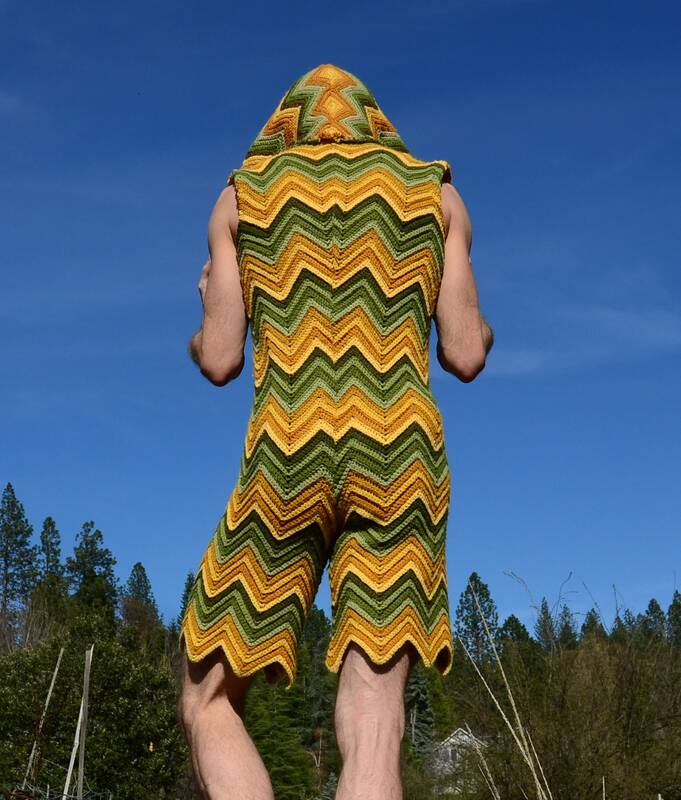 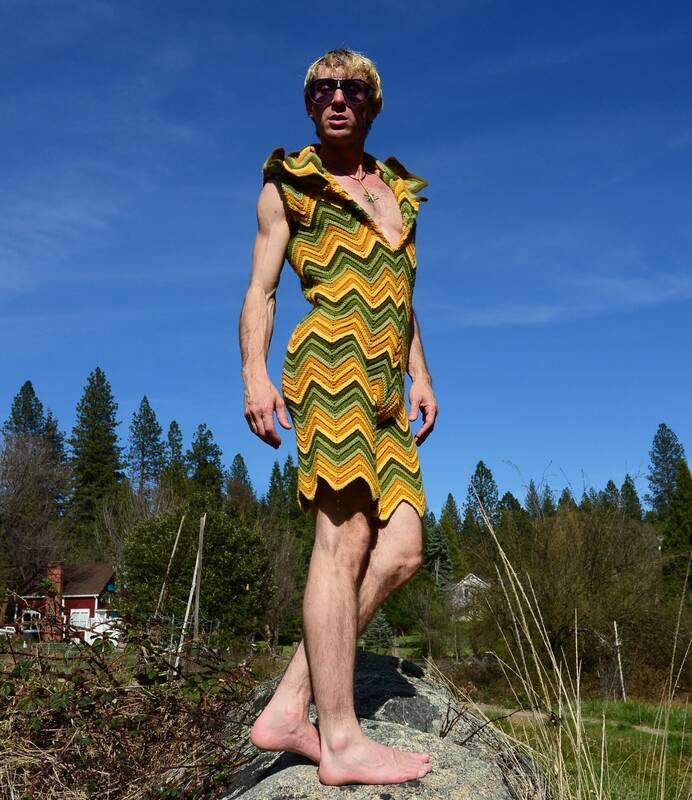 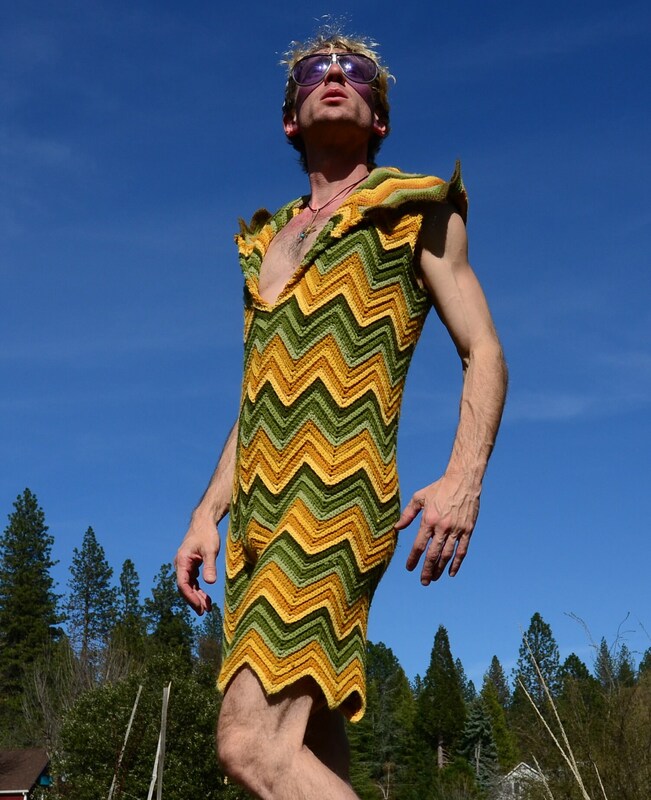 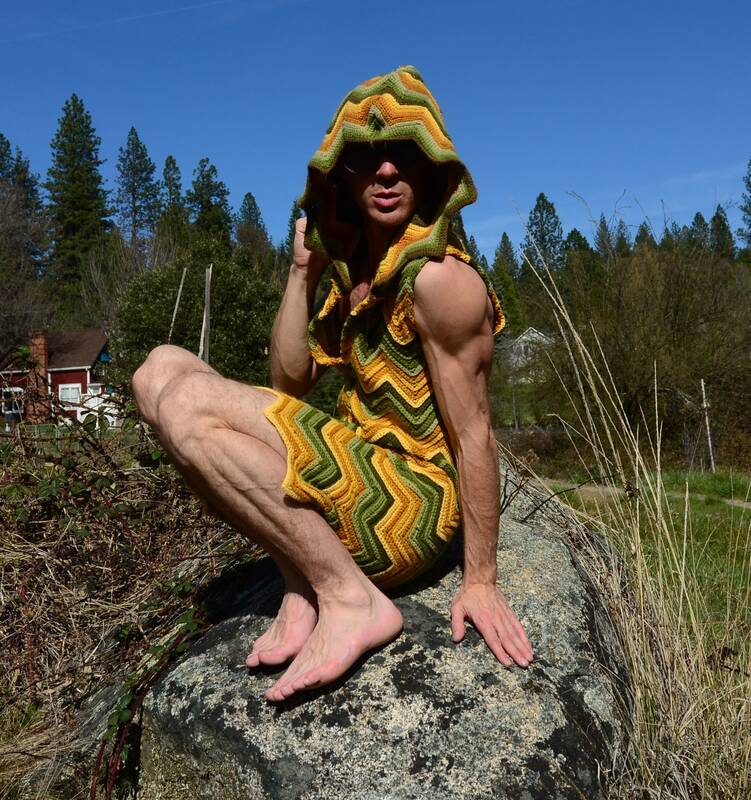 This is a cute crochet shorts onesie with a springtime zigzag pattern. 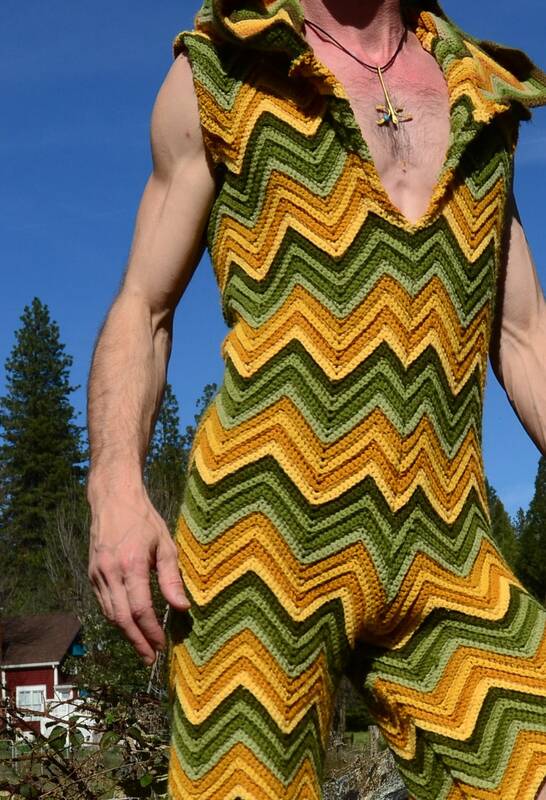 Fabulously up-cycled from an afghan blanket crocheted in acrylic yarn. 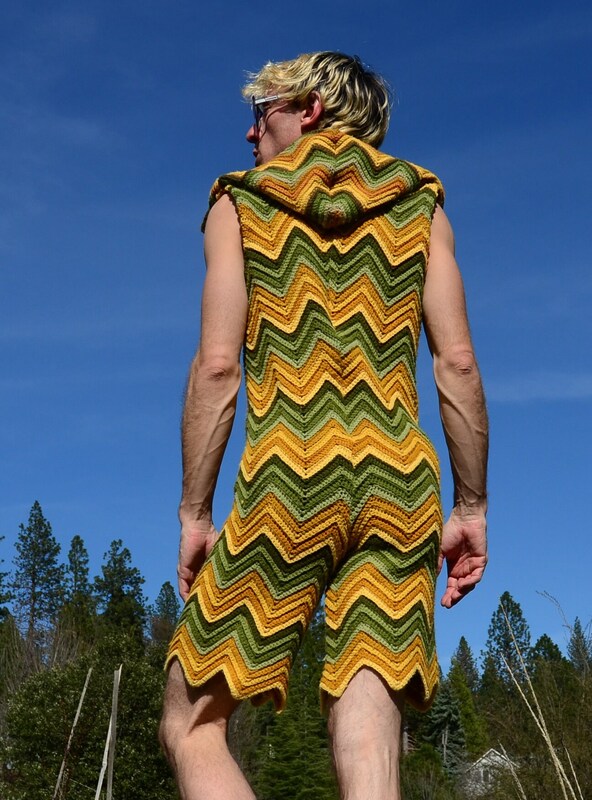 These is an M sized onesie overalls with chevron points and a hood. 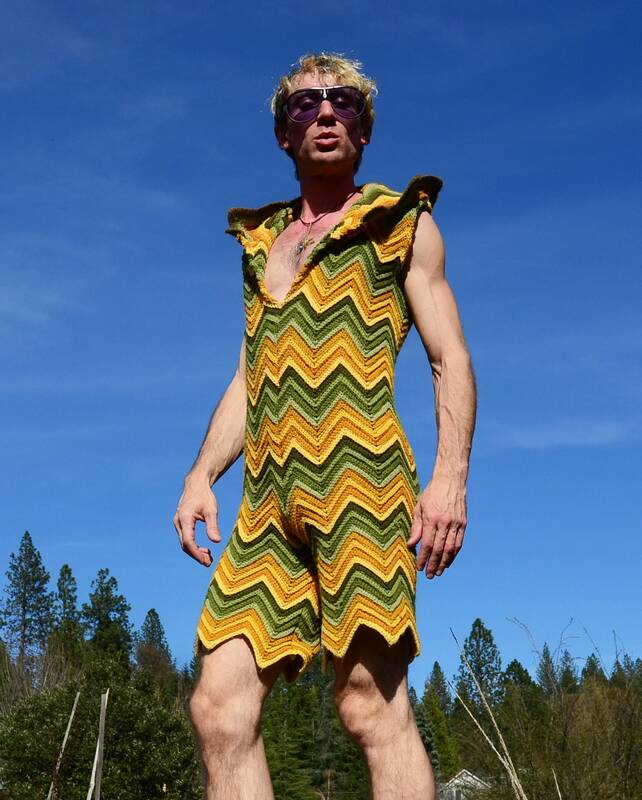 Great for anyone under 6 ft tall, up to 34 waist/hips.